Come be a part of a winning team! Watch a live demonstration of Microsoft Team’s powerful features. Building step-by-step, I will demonstrate how an organisation with many deadlines, work projects and goals can use Microsoft Teams to dramatically organise their path to success and go from near nothing to success in just one hour. 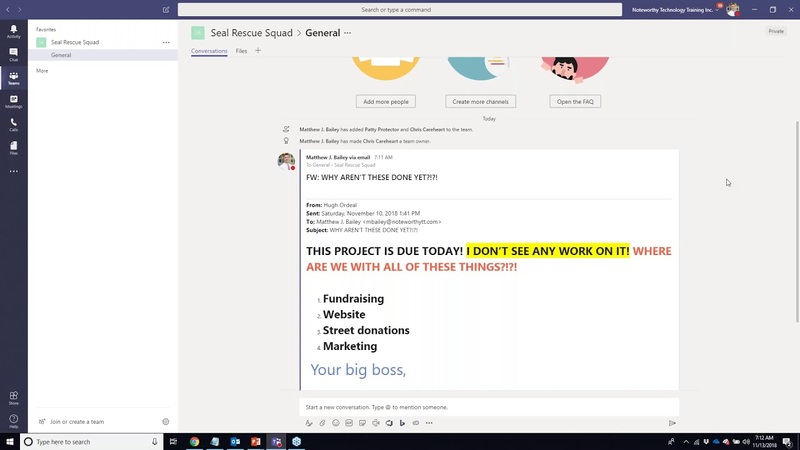 Focusing on important and little-known features, you will learn how to use the many tools within Microsoft Teams to quickly and effectively create successful experiences among your users and solve important real-world issues. In this live session, Matthew J. Bailey (co-author of Mastering Microsoft Teams, Apress) shares his real-world knowledge about the best way to use Microsoft Teams, how to understand it and best use it at this time.